So I found myself friendless and alone, and I could have despaired, but I’m not really the despairing type, so I rode the train back into town and visited the Naschmarkt, a giant open-air food market. There’s actually also a flea market there, which is awesome if you want to by antique (aka moldering) fur coats and questionable electronics. I actually considered buying one of those dead ferret wrap things, but I was kind of put off by the claws. So I walked through the market. Turns out, if you look hopeful, the vendors will give you free food. It was awesome. I basically got lunch there. 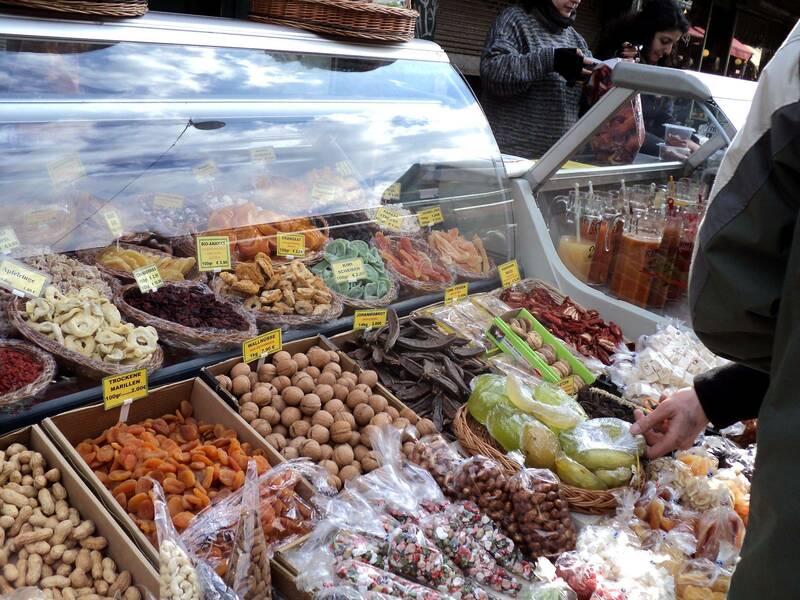 Free dried fruit here, free falafel there, samples of speck and sausage and caramel. 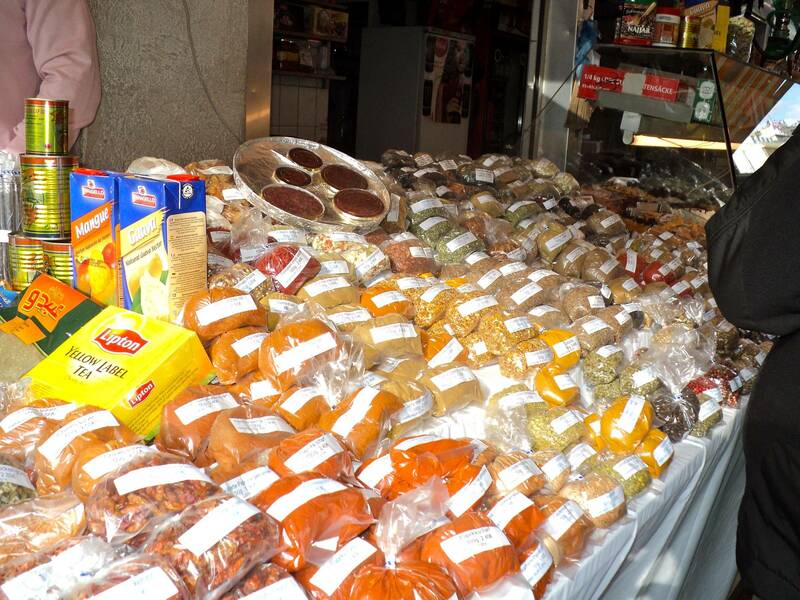 Literally hundreds of kinds of fruits & vegetables. I saw lychees, dragonfruit, jackfruit, passionfruit, starfruit (called ‘csillaggyümölcs’ in Hungarian…so pretty), even rhubarb! No idea where they’re growing it, but it certainly looked nice. 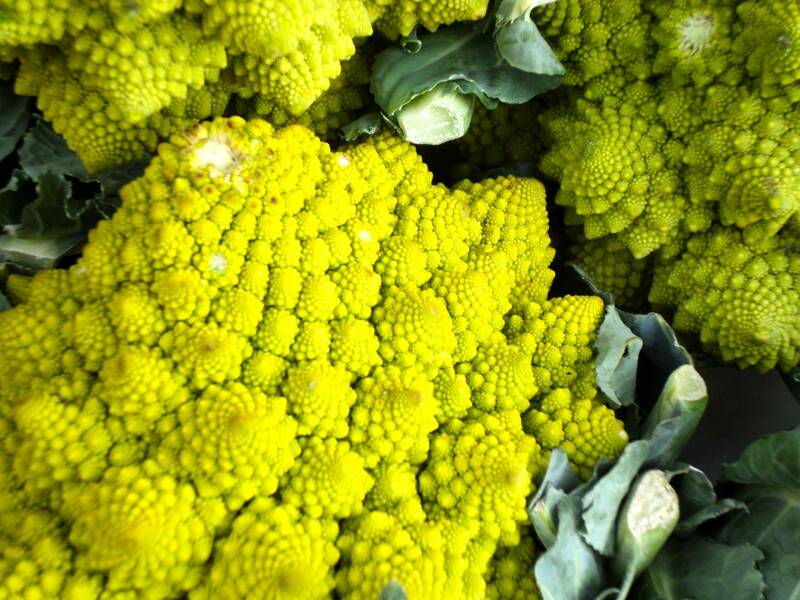 Fibbonacci cauliflower, perfect for math-themed dinner parties. The spice racks were nice too, but I don’t trust anybody selling suspiciously cheap powdered saffron. 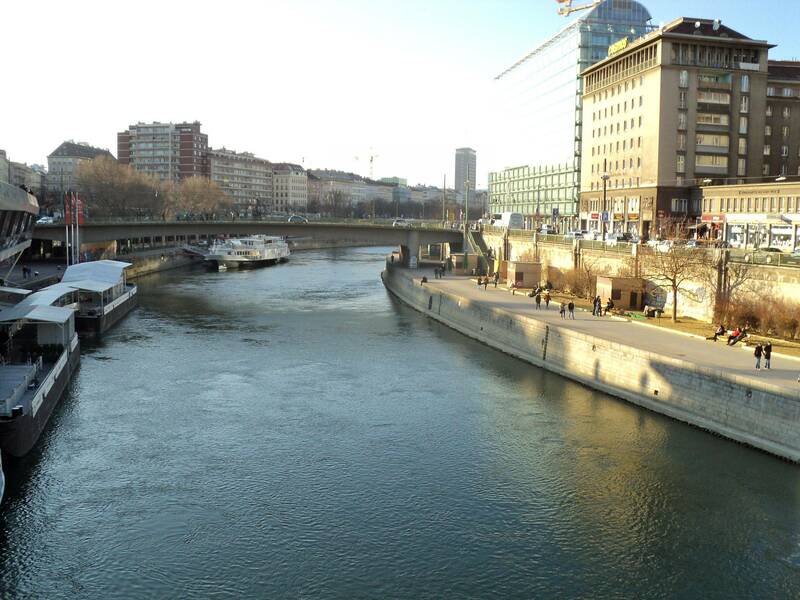 I crossed the Danube again, too, just to see what it looked like so far upriver. Basically a lot smaller. Back at the hostel, I met up with a bunch of the computer science kids, who had kind of accidentally bought scamm-y tickets to a concert that night. Having nothing better to do, I followed them across town to see if I could get a ticket last-minute. Well, they cost €50 and I had no cash but a €10 note, so I was leaving the building when the ticket-seller came running after me and let me know that I could have the ticket. 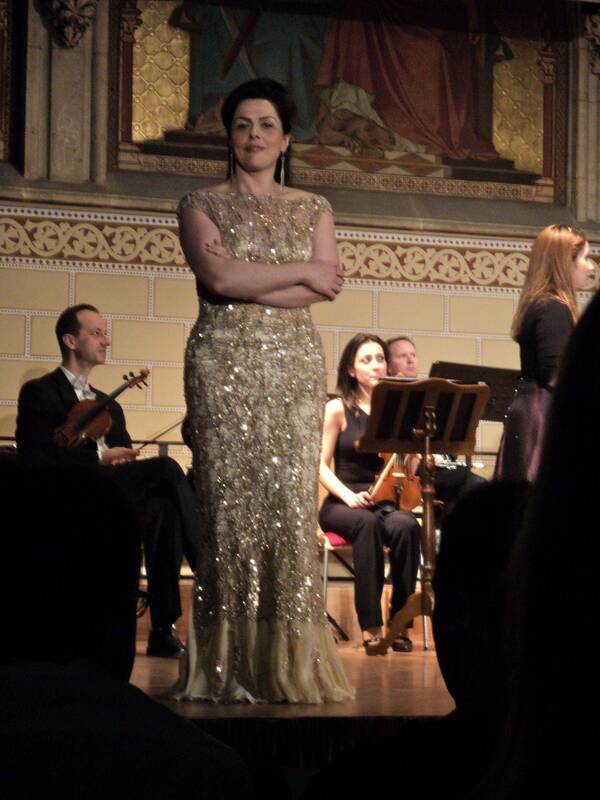 And that’s how I got to sit in the third row at a Mozart and Strauss concert in Vienna. Anyway, it was a successful day for all my getting lost. And I had Owl City stuck in my head the whole time I was there. I loved the Fibonacci/Fractal cauliflower. Be careful though, you might end up scrawling equations on the walls of the ruin pub and then we’d have to ask Alex to perform an intervention. I was amazed too by the sopranos dress. 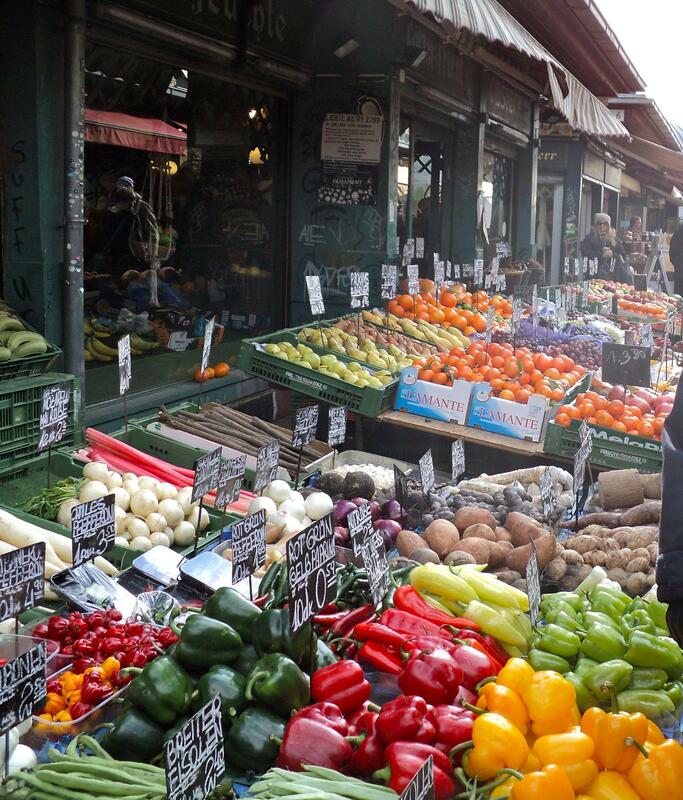 And all the fresh veggies in the market.